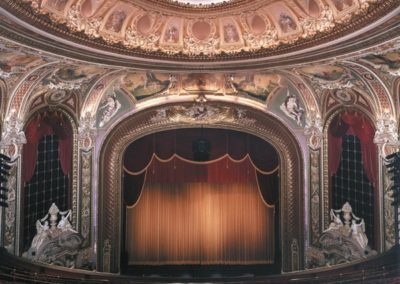 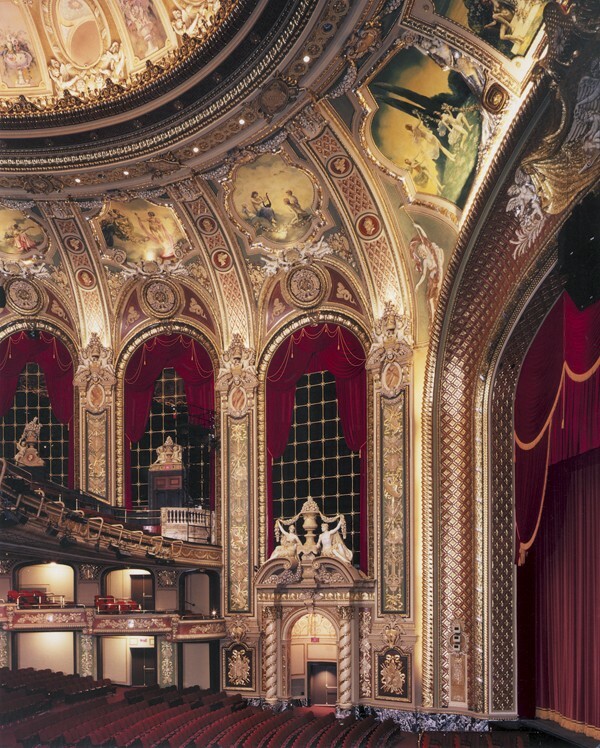 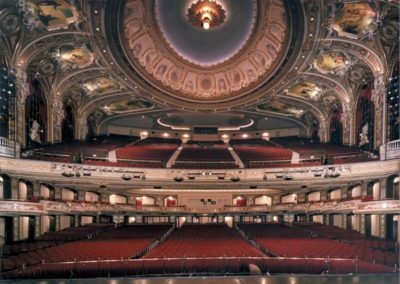 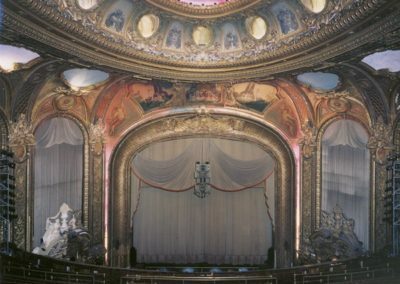 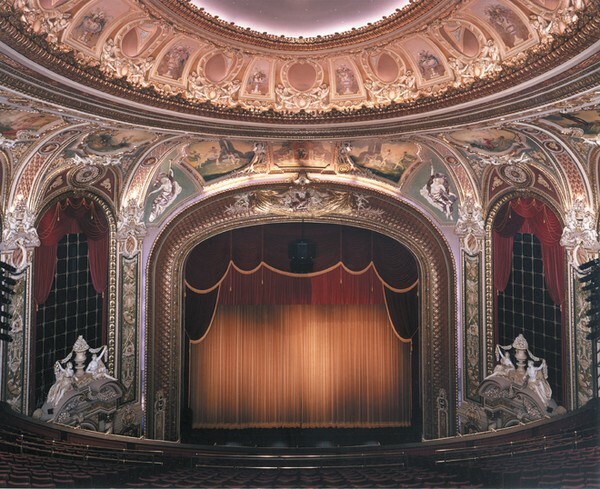 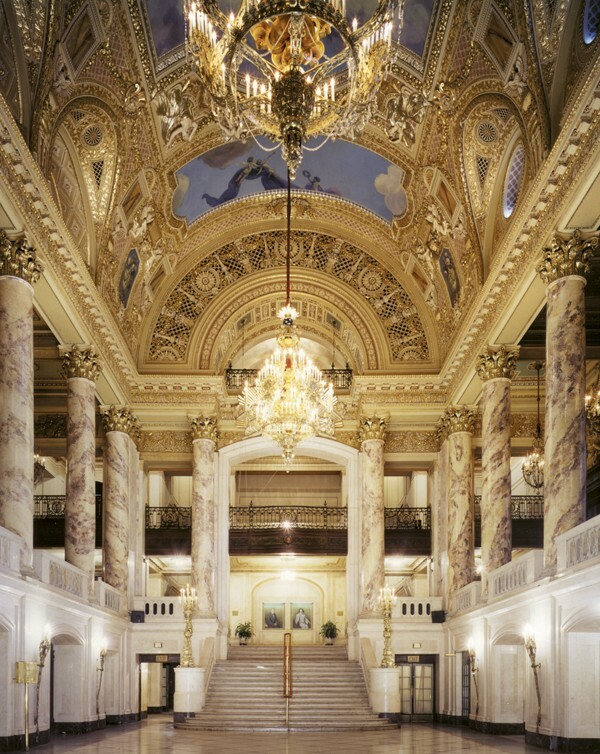 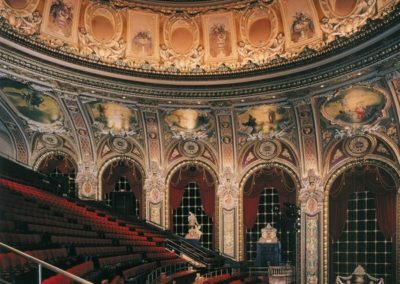 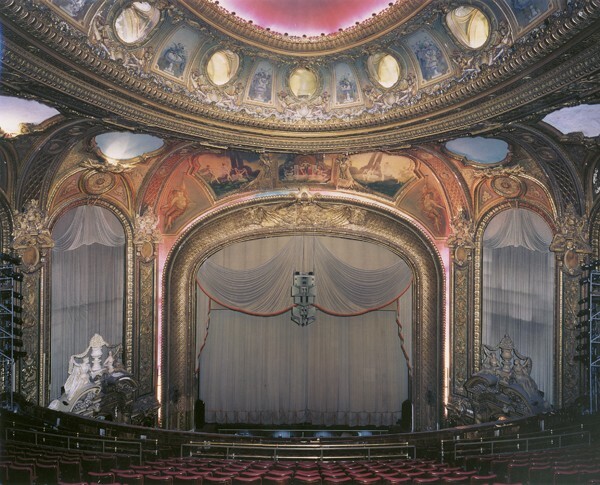 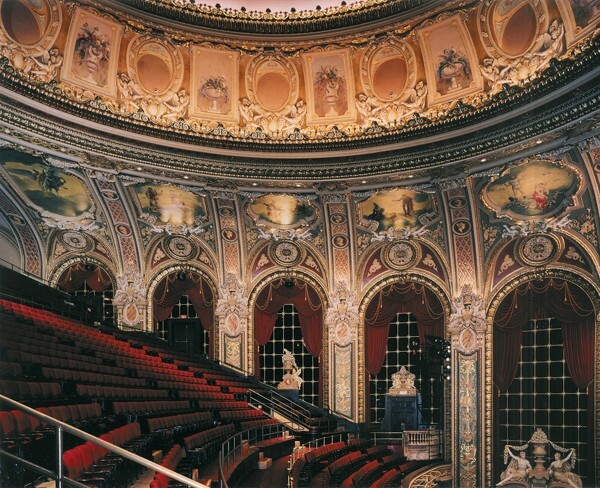 For the Citi Performing Arts Center, The Wang Theatre, Boston, Massachusetts, Conrad Schmitt Studios restored the elegant decoration, gilded moldings, murals, scagliola and marbleized surfaces of the Renaissance Revival and Baroque style theatre, which is one of the largest historic theatres in New England. 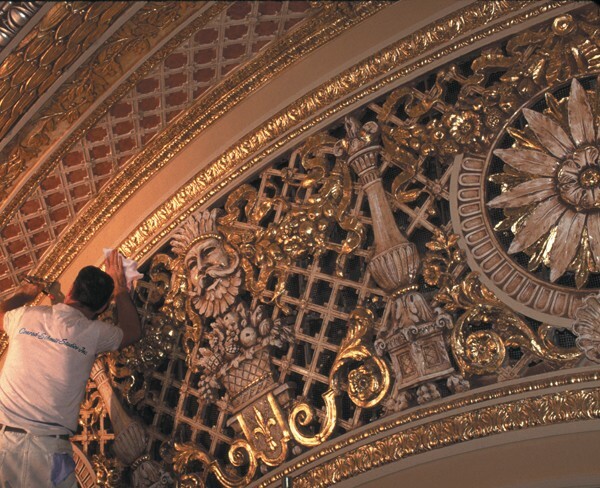 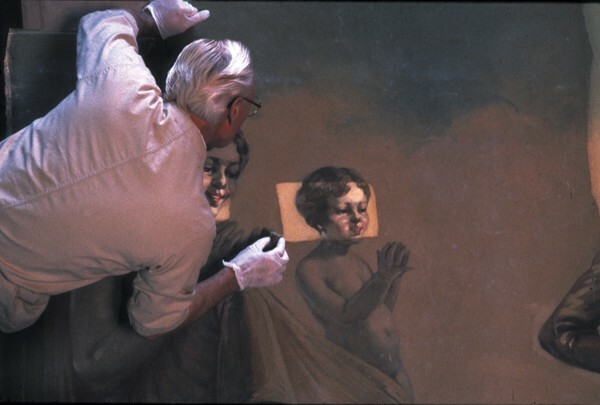 Prior to the restoration, layers of dirt and darkened varnish muted the splendor of the original finishes. 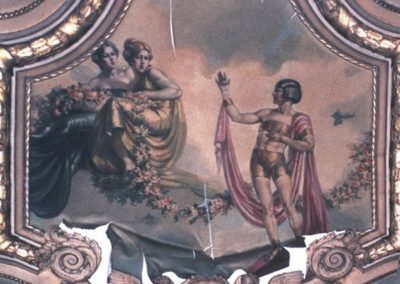 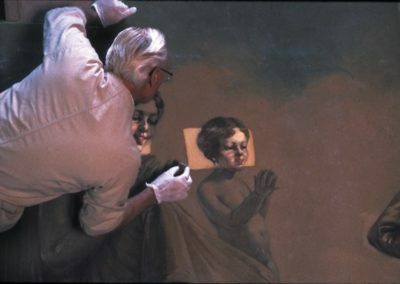 Entire murals were missing. 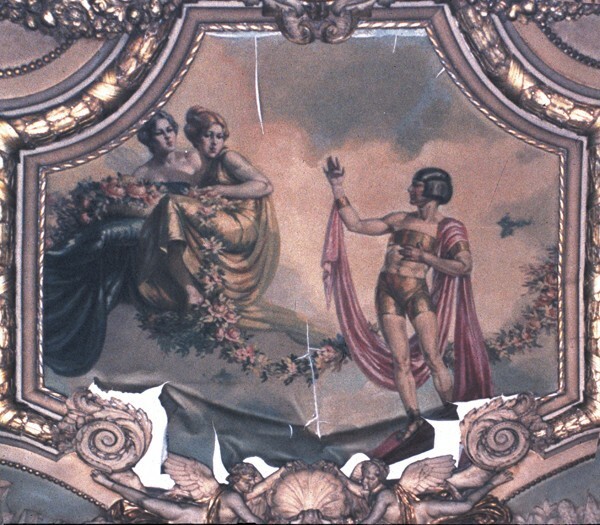 Other pieces clung to the ceiling. 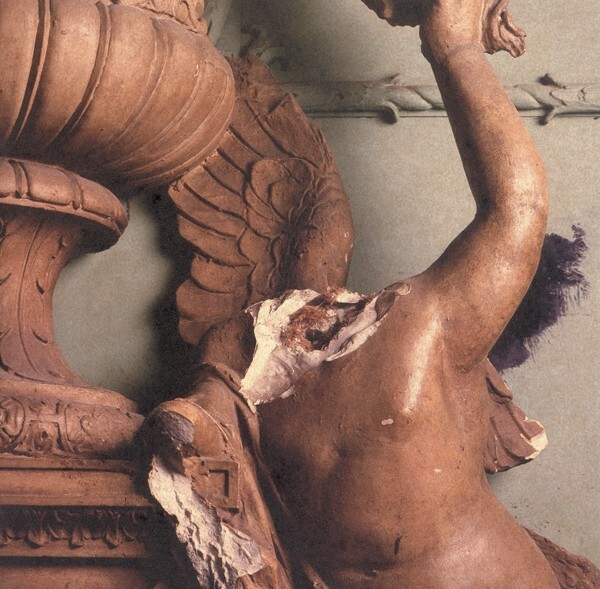 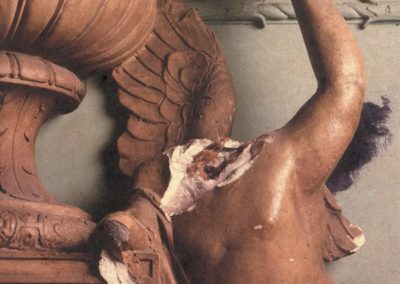 An investigation of the original colors and finishes was conducted by CSS as a guide for the restoration work. 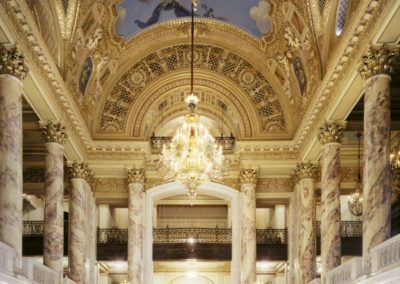 To commence the project, years of accumulated dirt was lifted from the surface of the four-story lobby, followed by the application of paint, gold and aluminum leaf and tinted varnishes. 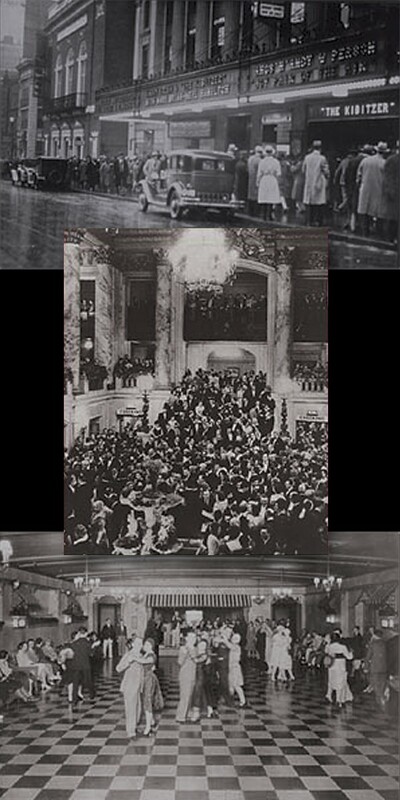 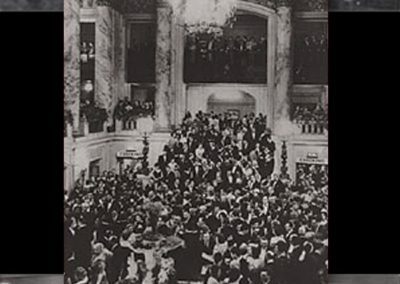 The newly restored lobby then served as a large-scale visual sample to encourage donations for the restoration of the entire theatre. 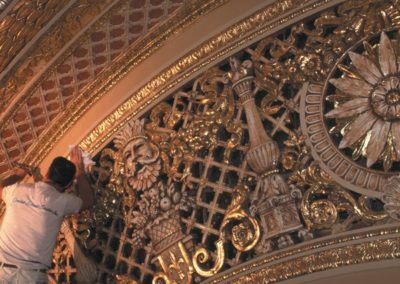 Two teams of artists and decorators worked around the clock to complete the restoration of the 3,600-seat main house in just 18 weeks.